The 19-year-old Jaime Alguersuari will be seeking to win his first points in Formula One this season. 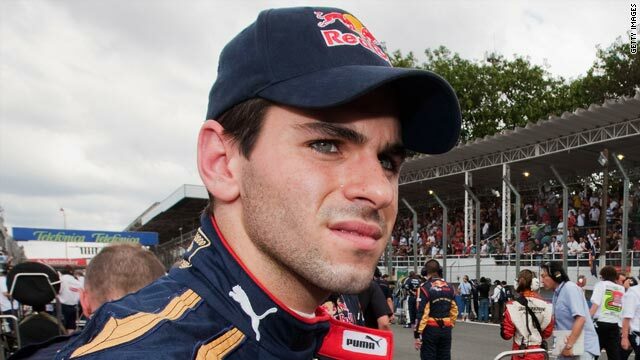 (CNN) -- Formula One team Toro Rosso have announced that teenage driver Jaime Alguersuari will be given another chance to impress with a contract for the 2010 season. The 19-year-old Spaniard will line up alongside Sebastian Buemi, 21, as the Red Bull-owned outfit retain the two men who ended last season in their colors. Alguersuari replaced Frenchman Sebastien Bourdais at the Hungarian Grand Prix in July, becoming the youngest F1 driver in championship history, but finished only three of his eight races at the wheel. "Considering that he made his debut only halfway through 2009 with no prior testing, he did a good job, making steady progress throughout the second half of the year, with a mature approach considering he is still only 19 years old," team principal Franz Tost told the Toro Rosso Web site. "This season, he will again face a steep learning curve, as all the circuits in the first part of the season will be new to him. Jaime's appointment also confirms our commitment to bringing on graduates of the Red Bull Junior Team young driver program." Buemi was only the seventh teenager to ever start an F1 race, finishing one place ahead of Buemi in Hungary in 15th. His best result was 14th at the Brazilian Grand Prix. Toro Rosso serve as a feeder team to Red Bull, which placed second in the manufacturers' standings behind Brawn last season with Sebastien Vettel second in the drivers' championship and Mark Webber fourth.